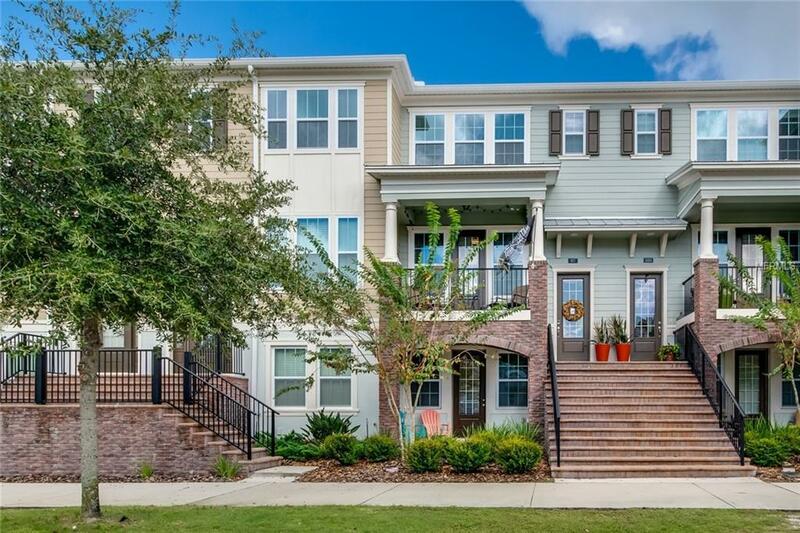 Welcome to this 3 bedroom, 3.5 bathroom luxury townhome in the most up-and-coming area just outside of Orlando. This well-designed and versatile floorpan offers a ground-floor bedroom with its own entrance and bathroom, a 2nd floor that is dedicated to living space and kitchen, while the 3rd floor encompasses a full master suite with brand new bamboo wood floors, huge master closet, double vanities and an upgraded rain shower for a spa-like feel in your own home. Upgrades include quartz counter tops and an oversized kitchen island, beautiful laminate floors throughout the 2nd floor, keyless entry pad, and a two-car attached garage. Oviedo on the Park community events include concerts in the park, movies in the park, monthly food trucks, a dog run and splash pad, as well as swan boats for rent. Join the active lifestyle that Oviedo on the Park has to offer!